Ray Dalio is considered the equivalent of Steve Jobs, but in a different field. Investing. He built Bridgewater associates from scratch and during that process he managed to rebuild the company from loosing everything. I frequently listen to Tony Robbins podcast and interviews and that’s when I first heard of Ray Dalio. I became intrigued. Especially since I liked his thinking and I picked up this book both to learn more about him and to understand how his mind work. 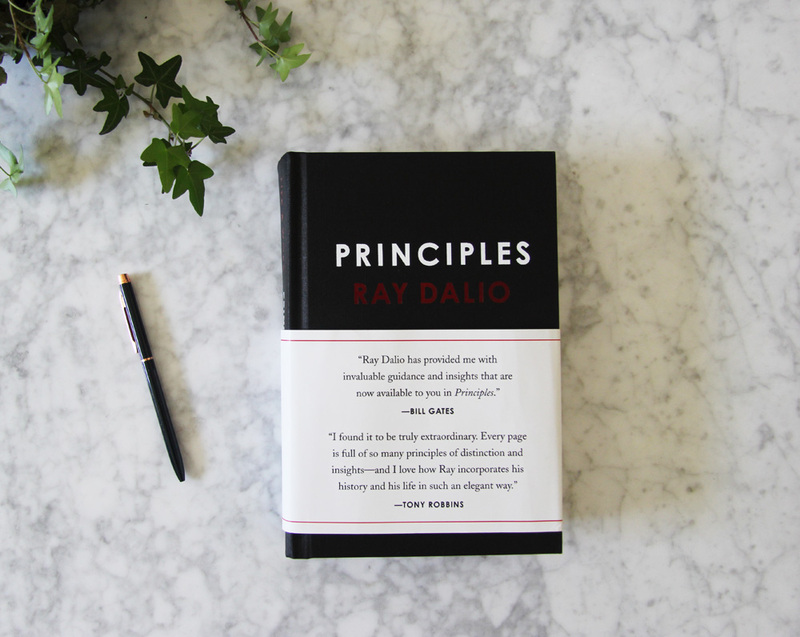 Ray Dalio started to write down choices he made and called them principles. He collected these throughout the years, and one of his observations is that everything is cyclical and that you can look to nature to get the answers you seek. In this book he shares his various life and work principles. That he now use to handle his everyday life with. Why? because decisions take energy and focus. If you already have the solution to a problem that arises you can focus more energy towards reaching your goals then solving something that stands in the way of it. You can work more effectively and do the work that creates the impact you want. Not only is this book aesthetically beautiful in the design and typography, that makes it a real treat to read. I really appreciate the biography section of the book that solely focus on Ray Dalios life and journey towards where he is today. It offers you a brief insight into what made him into the person he is today. Even very humbling experiences, such as being the only person left in the company that he built having to start all over again. Believability – when you listen to someones experience or an opinion, be aware of the background of the experience that the person who offers hers or his advice has. This is really useful when seeking out feedback, you want feedback on how and what to improve from the right people how actually has believability within the field you seek to evolve. Thoughtful disagreement – this is covered in the book and a must read section if you ask me. This captures the process of disagreeing with others and collecting data for yourself without making it personal. How do I know that I’m right – before I’m right. Ray Dalio has a process of before and instead of declaring that he is right. Ask himself “how do I know I’m right?”. Connecting the dots back to what contributes towards why he is right in a conversation about something of importance. This is very useful for honing in on your skills of presenting your ideas and solutions, to back up your case. View more book review on my marketing and business books page.